The National Women's Health Resource Center is offering a FREE Pregnancy Planner. 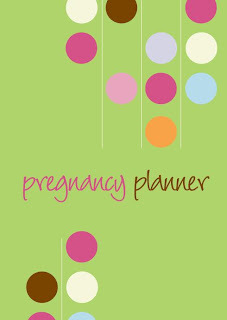 The 48-page planner is full of informative details on every trimester of a pregnancy. It covers a broad range of topics, from how you should expect to feel during each trimester, what foods and medications to avoid, to labour and delivery pain management options and breastfeeding - all very concisely. There is also a 10-month calendar section to record checkups and other notes. As it is from a US organization, expect to see some US-specific topics in regards to maternity leave, etc. You can order this planner to be mailed to you, or download it for free as a PDF to print yourself! Based in Red Bank, New Jersey, the NWHRC is an independent not-for-profit health information source for women. 1 Response to "Free Pregnancy Planner from National Women's Health Resource Center"